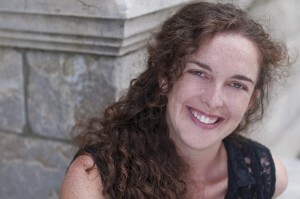 Founding Ensemble Member Genevieve de Mahy has been named SCT’s long-term Artistic Director effective August 1, 2014. 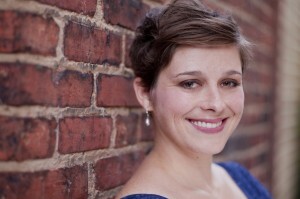 Baltimore, MD May 21, 2014- Single Carrot Theatre is overjoyed to announce that Founding Ensemble Member and giant idea-haver Genevieve de Mahy will take on the title of Artistic Director beginning August 1st. Upon the departure of former Artistic Director Nathan Cooper in 2013, SCT began the daunting task of finding a replacement. Seeking new leadership from within the ensemble remained a priority for the company, but members also knew they needed to act fast, so the search for an Interim Artistic Director led to the hiring of Kellie Mecleary. Mecleary will remain in the ensemble after her tenure as Interim AD concludes on August 1st, and has also accepted the position of Producing Director. Says Managing Director Elliott Rauh of de Mahy, “I am excited to work with Genevieve because of her commitment to the organization, but mostly because of her imagination.” De Mahy’s imagination and commitment to art and theatre has not gone unnoticed by the City of Baltimore, either. Genevieve was named Baltimore’s Best Actress by the Baltimore City Paper in 2009 (despite identifying primarily as a writer and a director) and is currently directing her sixth production at SCT. Her direction of Hotel Cassiopeia in 2011 was hailed as “One of the most compelling artworks I have ever seen.” (Brent Englar, BroadwayWorld.com) and “Among the most effective productions I’ve seen from the company.” (Tim Smith, The Baltimore Sun). “Productions directed by Genevieve have a texture and aesthetic that surrounds the audience invites them in to the world of the play,” adds Rauh. De Mahy is directing The Apocalypse Comes At 6pm, which is currently in rehearsal and begins previews on June 11th. Current Interim Artistic Director Kellie Mecleary has been named SCT’s Producing Director effective August 1, 2014. With all of this change, what is staying the same? SCT will continue to produce vibrant theatre, and lots of it. “Season 8 is dynamic and diverse. There is a good range of everything from zombies to live original music. Many of the shows walk the delicate line between comedy and drama, which is something we tend to be drawn to at Single Carrot. We have been interested in music lately, and two of the plays next season will have original live music,” she says, referring to both Utopia Parkway by Charles Mee and a world premier written by Ensemble Member Alix Fenhagen, Blind From Here. Can audiences expect to see any more change at SCT? A new building, new AD, and expanding ensemble point toward a feeling of perpetual change. The company thinks it’s more about evolution. The goal is not simply different, the goal is to create theatre that is more engaging, more challenging, and offers more accessibility—providing an area and a city with the same feeling one gets at a beloved neighborhood restaurant, pub, or coffee shop. “How great would that be if everyone could walk to a theatre in their neighborhood and see inspiring work?” asks de Mahy. Not only would it be great, Single Carrot Theatre believes it’s the future.